The deck – one of the flagship elements of any exterior renovation project. Whether you are building a front porch or a backyard patio – the deck is considered something of a luxury. Homeowners can enjoy the outdoors in a leisurely way. On those cool autumn mornings there is nothing quite like enjoying your hot cup of morning coffee as you survey the morning, the dew clinging to the blades of grass, the crisp air on your skin. In many parts of the country a deck is associated with summer: an outdoor bbq, a nightcap on the patio on a warm summer evening. Here in Wisconsin, however, your deck can be used for so much more when the weather is agreeable. Here at United Building Supply Inc., the decking options provided by Genovations is but one of the many exterior remodeling products we have available. From windows and doors to insulation and siding, we provide contractors and builders with the absolute best products available. Visit us online or give us a call at 920-564-3888 to learn more and discover all of the products we have! There are many elements that combine to create a beautiful home. From the windows and doors, to the paint color and trim, homes are made beautiful by their blend of color, texture, and style. One of the more overlooked parts of a home is the trim. 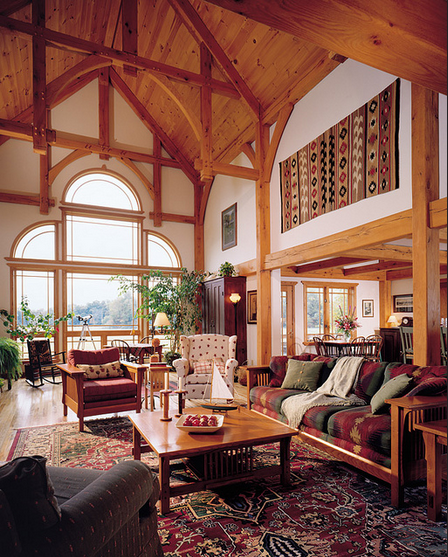 On an aesthetic level, the trim serves to bring out the rich color or colors of the home. But like anything in life, wear and tear will eventually take its toll, and if the trim you use is not of a professional, quality grade, you will inevitably find it deteriorating and depreciating the value of your home. The visual appeal of a home will drop dramatically, which is a negative outcome whether you were planning on selling your home soon or not. At Alsco Metals Corporation, long-lasting color is simply their bread and butter. They specialize in making homes look their absolute best, and their trim does a magnificent job of bringing out the other colors of the home. Whether you are attempting to match the aluminum trim with siding or windows, or you are simply looking to accent the brilliant rich color(s) of the home – Alsco Metals has you covered. Here at United Building Supply Inc., we specialize in getting contractors and builders the quality materials they need to do their job right. From soffit, fascia, and trim to siding, windows, decking, insulation and doors – we carry all of the exterior remodeling products you could need for a given job. Our personal, knowledgeable team boasts 20+ years of exterior remodeling experience, so you can trust that you are in good hands. Visit us online today for all of your product needs, or give us a call at 920-564-3888 to learn more! The doors of any home can either hinder or help the overall beauty. Doors have the propensity to be an elegant decorative piece, or serve more as a pragmatic entrance and exit. Other doors can find the fine line between the two, and effortlessly enmesh elegance and practicality. As a contractor, your success rate of selling sell a given client on the services you offer is largely dependent on the quality of the materials you utilize. Once you have established yourself as a trusted, knowledgeable worker that has your client’s best interests at heart – the next step is selling them on top-notch building materials that will improve their home. Here at United Building Supply Inc., we have the necessary materials that will help you get the job done and keep your customers satisfied. Decking and Windows and Siding Oh My! For many years now the professionals at United Building Supply Inc. have made life easier for contractors and builders. We have been supplying contractors here in Wisconsin with great supplies such as decking, windows, and siding that enable them to do what they do best. Over time we have established many mutually beneficial relationships with building supply companies. These relationships have allowed us to pass great supplies at unbeatable prices to all interested builders and contractors. The doors provided by Tru Tech Doors are an excellent example of this. As the new name in doors, Tru Tech has demonstrated a tremendous attention to detail and product features time and time again. 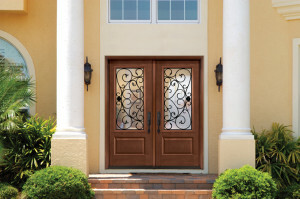 We recognize their great qualities and have made them a staple of our door offerings. To learn more about the many products we have to offer and to discover how we can help you do business better, visit us online or give us a call at 920-564-3888. We look forward to hearing from you! One of the most present elements of any home are the materials that make up the exterior of that home. The siding, in particular, is a large component of the exterior, and can add to the overall beauty of the home. In that sense, poorly made siding can take away from the home, and similarly siding that doesn’t mesh well with the other building materials can be detrimental on an aesthetic level. For this reason, choosing quality siding is always the best option, be it for a home yet to be built or to renovate a home already in existence. The siding of a home is almost an accent, and can be seen as an afterthought to those not in this industry. But contrary to that misconception, siding goes a long way to the overall feeling of a home. From shakes to shingles, stone & brick to shapes, siding is a fun design element that many first-time homeowners will regrettably overlook. If you select the right siding option for your home, you can successfully imbue it with just the right character, encapsulating your personal character or blending in with the other homes in your neighborhood. 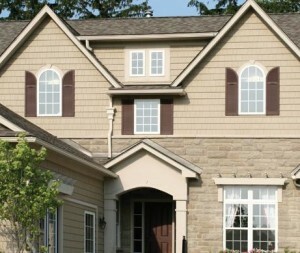 At United Building Supply Inc., we are proud to carry a healthy handful of great siding companies. Each of these companies has made a great impression on us over the years, and we are happy to offer each of them to our customers. Mid-America Components Siding is one great example of the many wonderful siding companies we work closely with. Their products are designed for efficient, contractor-friendly installation. Flush with flexibility, Mid-America Siding Components can mount directly onto any new or existing cladding, from vinyl and fiber cement siding to stucco and stone veneer. In addition to great siding, we also carry some fantastic door, window, decking, and insulation products! Visit our site today to learn more or simply give us a call at 920-564-3888. We look forward to hearing from you! Although the great outdoors may not be enjoyed quite as often here in Wisconsin compared to other states and regions of the country, there are still some great mornings and evenings to be appreciated here. 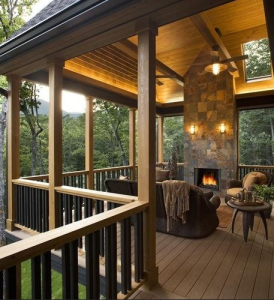 Perhaps the best way to begin or end your day is on a quality front or back deck. A deck affords you extra space, and gives you the pleasure of enjoying the outdoors when the weather permits. The right decking equipment will last a long time too, allowing you to utilize for years and years to come. 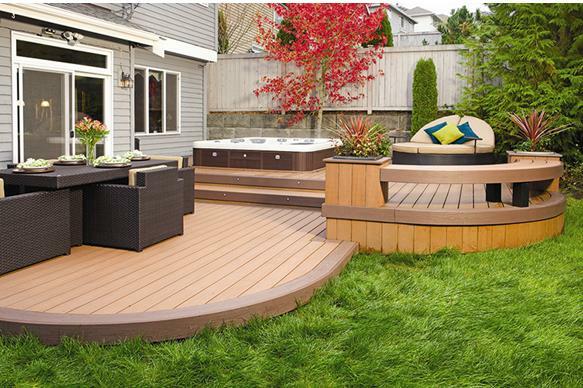 Here at United Building Supply Inc., we specialize in some of the best deck supplies around. Both Genovations and Azek supply durable, great looking decks that truly make an indelible impression. Azek’s composite decks are perfect for the harsh Wisconsin winters, capable of withstanding food and drink stains as well as surviving the harsh weather elements. A deck represents an escape of sorts – a transition from the working world to the relaxing life of your home. The right deck can serve as your morning coffee spot, effectively giving you the chance to get in the right mindset before a busy day. In a similar way a deck can be used as a great unwinding tool, giving you the chance to recharge and reflect at the end of a long day. No matter how you choose to use your deck, make sure you consult the professionals at United Building Supply Inc. to ensure you get a price and a great quality deck. We have the necessary materials and can help you transform the outside of your home into a veritable oasis of joy and relaxation. Much like the rest of the world, the housing industry has been flooded with a slew of useful technologies.Homes today are rife with breakthroughs in innovation, and homeowners can reap the benefits. No part of the home has progressed quite like the deck. Decks have come a long way from their wooden origins. Following the introduction of composite decks, the decks from AZEK are engineered with a cellular pvc formulation. Their Arbor collection features decking that resembles the warm, vibrant tones associated with exotic wood. In many ways, the deck boards from AZEK are on a different level in terms of quality craftsmanship. One might say they have even redefined what decking means. Their resistance ability alone is indicative of this – even spilled wine, fruit punch, and hamburger grease are no match for AZEK Deck’s stain resistance. They are also scratch resistant, so you never have to worry about you or guests scraping patio furniture. Plus, the Limited Lifetime Warranty Deck components are warranted to be free from defects in material and workmanship that result in blistering, peeling, flaking, cracking, splitting, cupping, rotting, or structural defects from termites or fungal decay. The deck boards come in 5 delightful colors: Silver Oak, Morado, Redland Rose, Acacia, and Hazelwood. We at United Building Supply Inc. pride ourselves on providing the best materials for our customers. 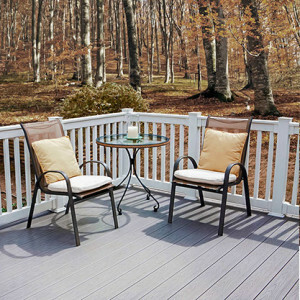 Expand your home, and enjoy the comfort and solace a deck provides. An outdoor deck provides you with a comfortable setting to welcome guests and enjoy the long days of summer. If you are looking to create an outdoor space that will last for years to come, look no further than the quality decking offered by AZEK. You can find this and many other superior products at United Building Supply: visit us online today to see more! When your average homeowner considers the Soffit & Fascia of their home, they think about the edges of their roof and how the color should mesh well with the rest of your home. We are here to tell you, however, that these building utilities are so much more than that. Here at United Building Supply, we take all of the various elements of the home and use them in conjunction to create a masterpiece that is ultimately more than the sum of its parts. Our specialty lies in adding to a home, whether it be in a standout way such as windows, doors, or decking, or less noticeable ways like trim, siding, or insulation – ways that increase the appeal of the home while also adding a functional element. We pride ourselves on carrying only the finest in materials for our customers. Our efforts to strive for excellence in all of the construction we do extends to our soffit, fascia, and trim products. The Trim & Fascia offered by LP Smartside is available in a variety of textures and profiles to allow you create the look you want. They treat their products with their SmartGuard process that effectively resists termites and decay. Whether you are looking to augment your home for aesthetic purposes, or your home could use the proper ventilation utility provided by trim and fascia, we at United Building Supply Inc. can help. Our home experts are prepared to help improve your home on multiple levels. From soffit, fascia, and trim, to decking, windows, and doors – we are capable of making pronounced changes that you will be proud of. Sometimes you are forced to change an element of your home because it no longer serves its function: rotting floorboards, outdated and drafty windows, or a mold-ridden bathroom. Other times you decide to make changes that are intended to increase the visual appeal of your home – whether for your own enjoyment or the appreciation of interested buyers. The entry door to your home is a perfect example of a piece of your home that can be easily overlooked in the grand scheme of things. The right front door sets the tone for the rest of the house. It has the potential to be equal parts welcoming, secure, and awe-inducing. When you have a door that you can be proud of, you understand that it is at the same time elegant and pragmatic. As an appealing facet of your residence your door can be beautiful without sacrificing function. Therma-Tru doors are, in many ways, in a class of their own. Beautifully crafted, energy efficient, secure, and easy to maintain, these fiberglass entry doors are truly a thing of beauty. They provide a durable alternative to wood or steel, and come in a slew of fantastic color combinations and styles. A Therma-Tru door is engineered with a patented AccuGrain™ technology: giving you the look of high-grade wood with the durability of fiberglass. 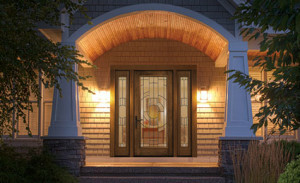 Enjoy the look and feel of a real wood front door that resists splitting, cracking, and rotting. Whether you are in need of a door to complement the rustic feel of your home, or you simply want a functional door that looks good, Therma-Tru doors are a great fit. 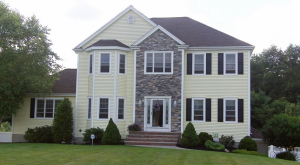 Find them and other great styles at the home construction experts: United Building Supply Inc. Our team can provide you with the best products in siding, windows, doors, and more! As the seasons change we are forced to regulate the temperature of our respective homes to achieve an optimum level of comfort. The warmer weather of course brings about a greater reliance on air conditioning, while winter depends upon our use of blankets and a reliable heating system. But the heating and cooling of your residence is also affected by the quality of insulation that your home is equipped with. Statistics back it up, too: 40% of energy loss in the average home is caused by air infiltration. The number one enemy of most building materials is moisture. Fortunately there are a number of ways to combat building failure. Breathe EZ housewrap is a quality product that is made to resist punctures and tearing. Another valuable part of your defense against unbearable temperatures are foam products. Polystyrene and polyurethane are significant in the sealing of the envelope of your home. 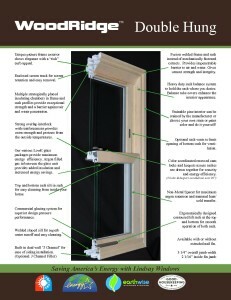 They can be sprayed into the wall cavity during construction, or simply added around the windows to prevent air leakage. Last but not least: caulk and sealants. Seal off gaps and cracks to prevent outside drafts from entering the home. These are cornerstones of the construction and building industry, and can be a vital part in your effort to avoid building damage and keep moisture out of your home. Whether you are looking to reinforce the insulation you have in your home to help keep cool in the summer or you want to ensure your family is warm in the brutal winter – the experts at United Building Supply Inc. have got you covered. We can provide you with quality insulation, as well as decking, windows, and siding options! Visit us online today to see all of the wonderful options we have available.